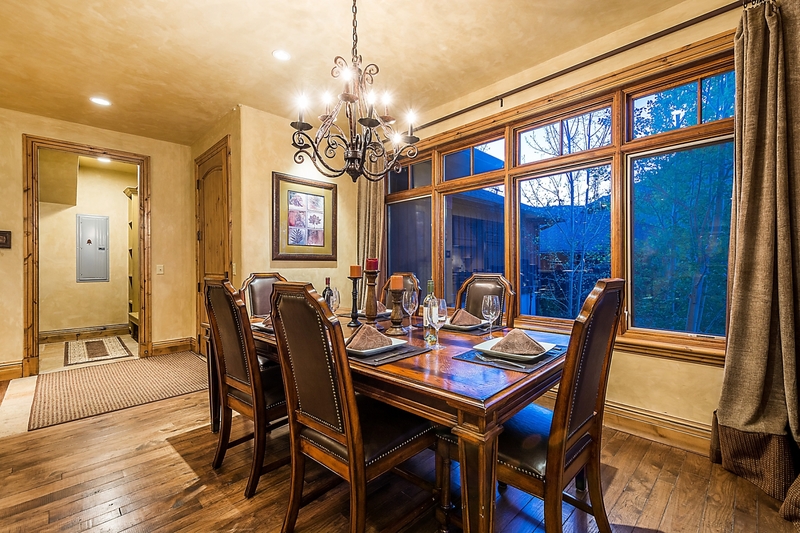 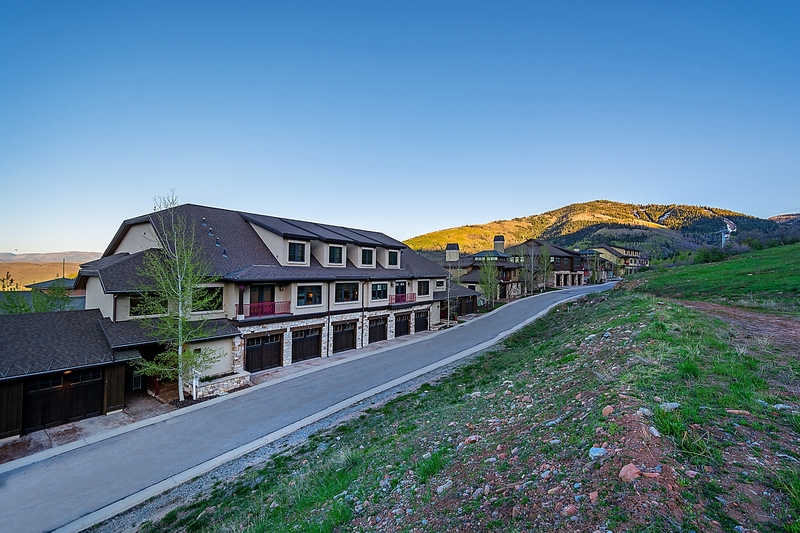 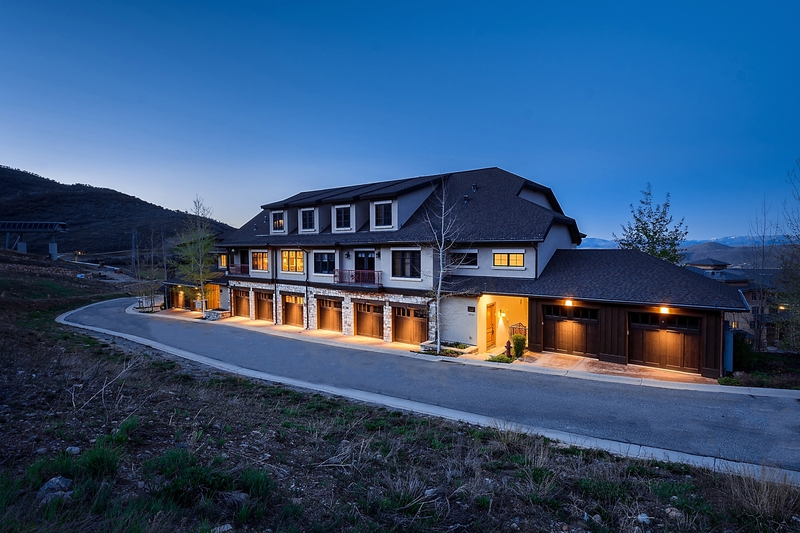 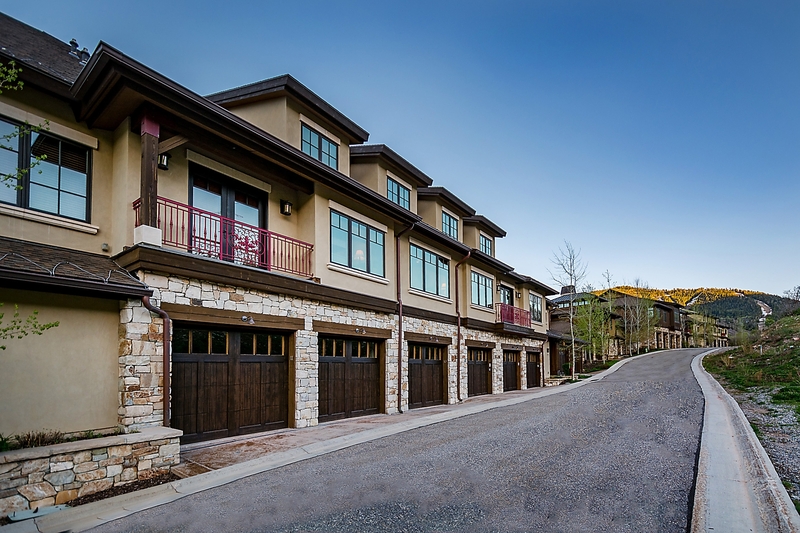 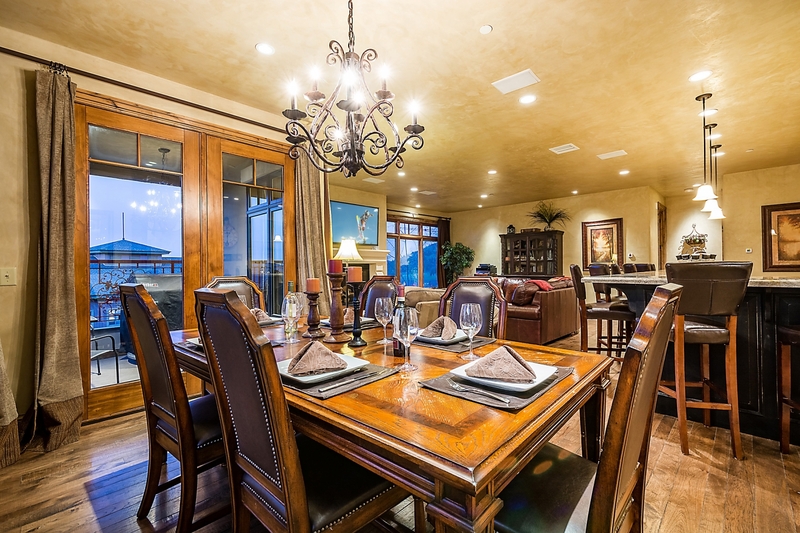 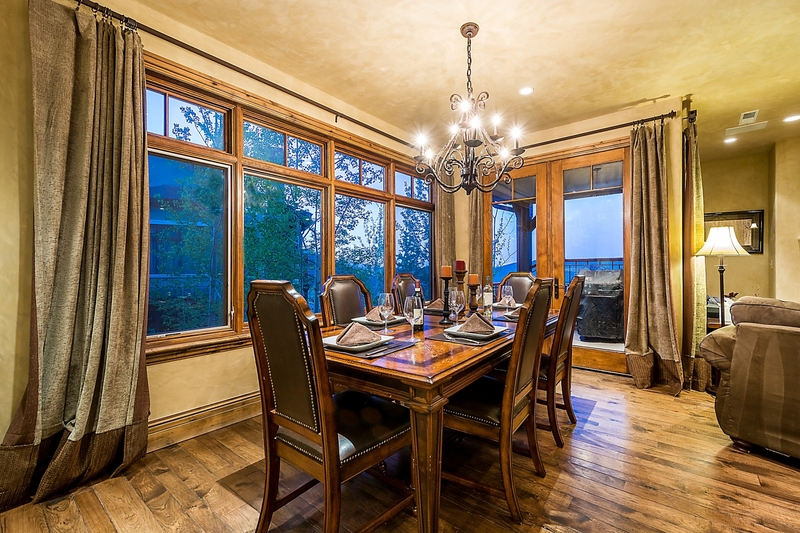 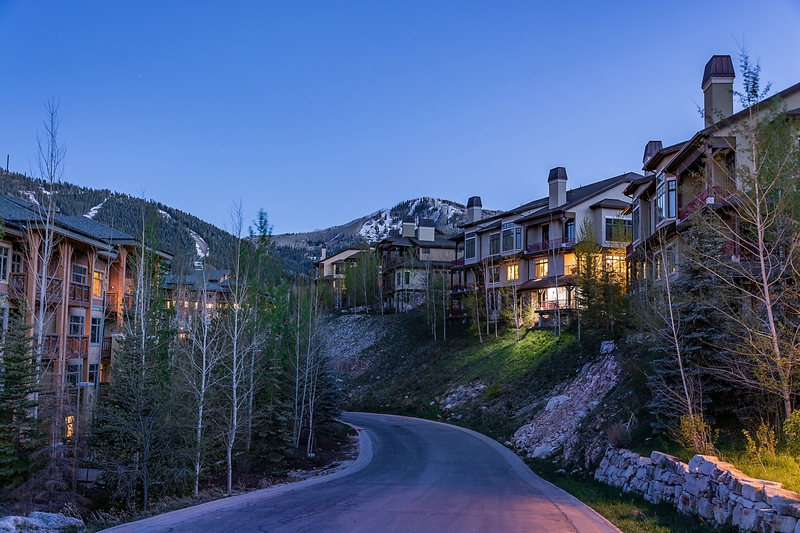 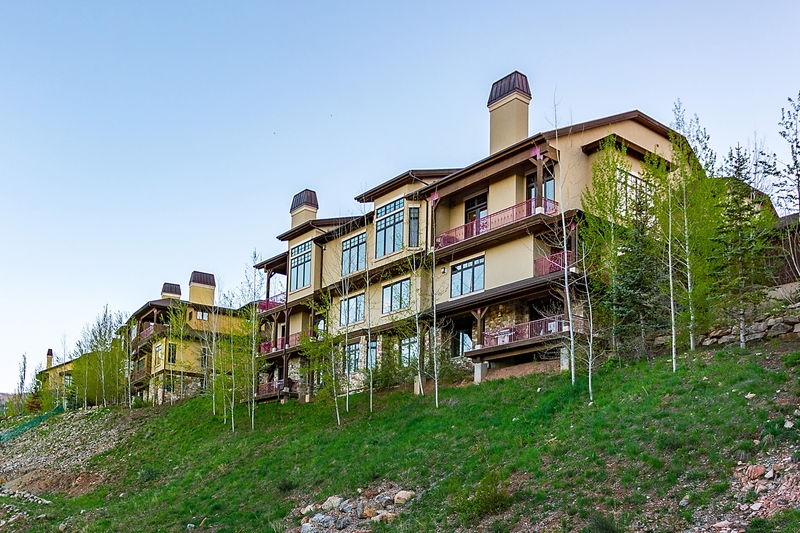 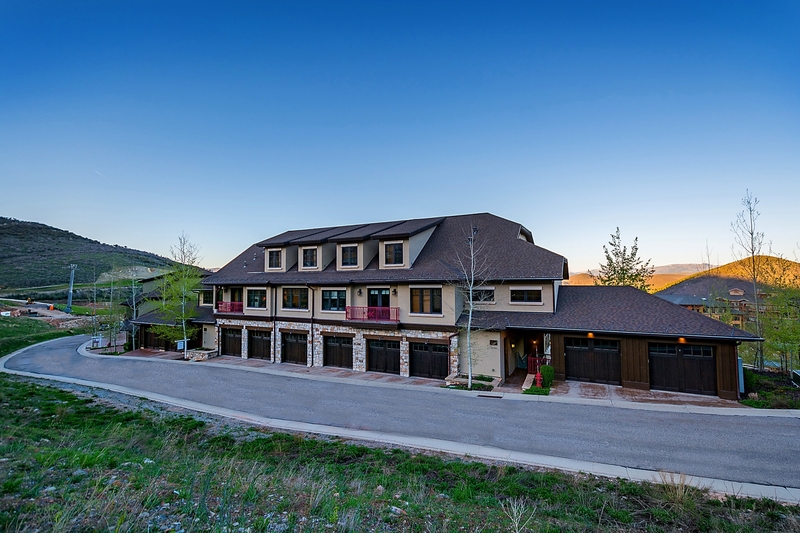 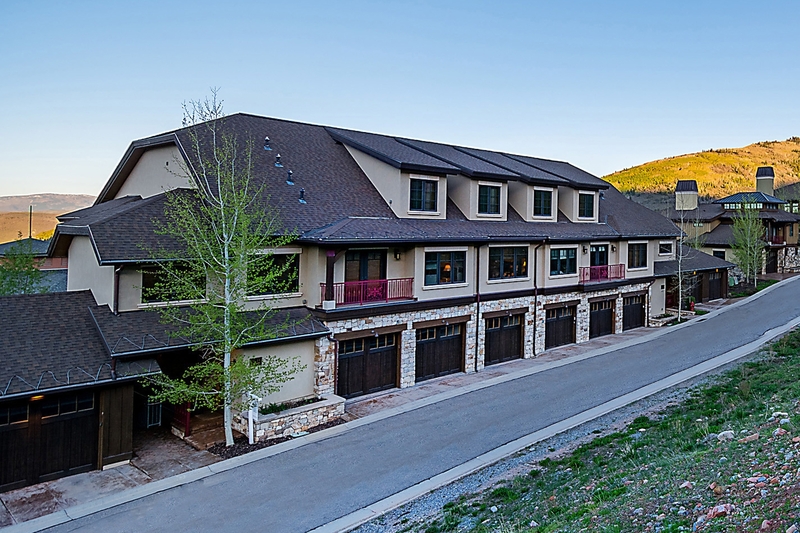 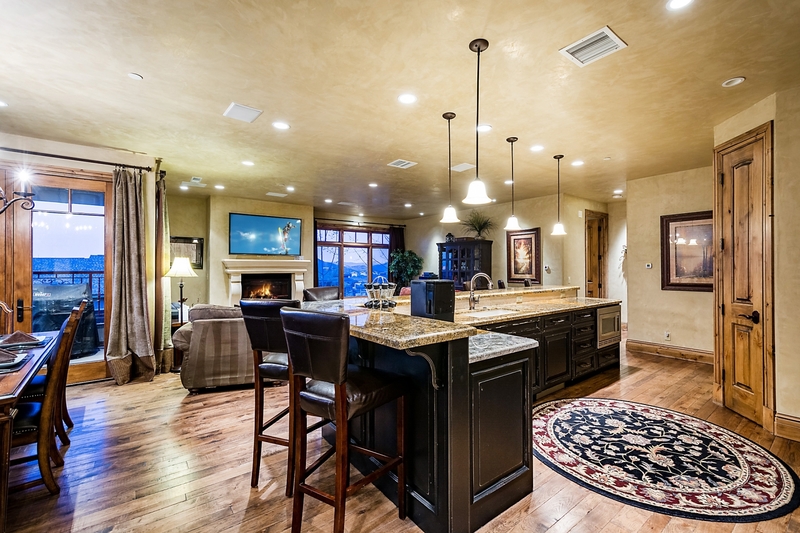 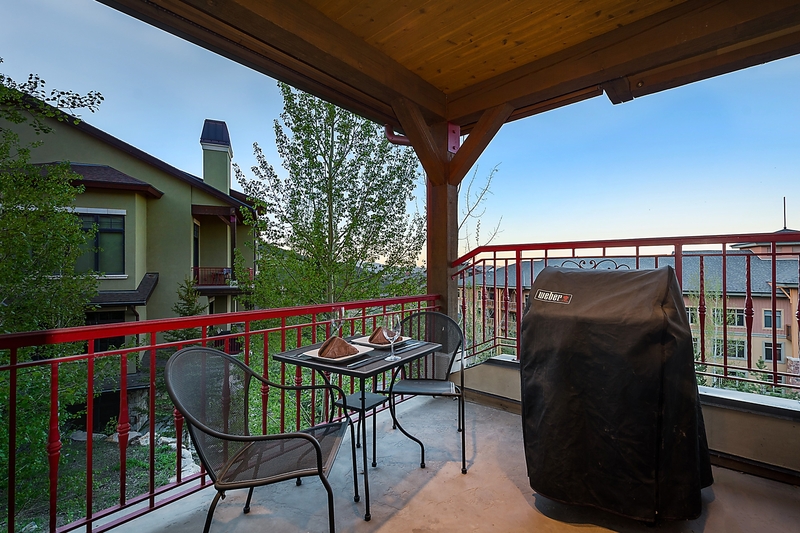 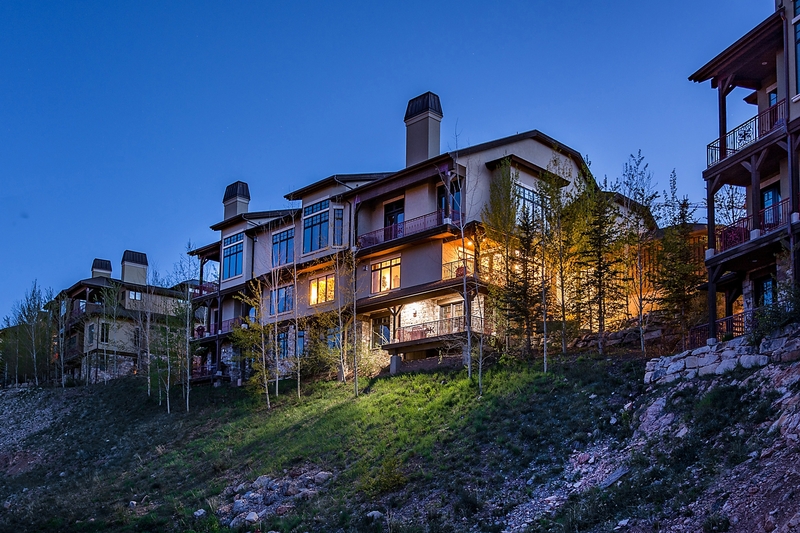 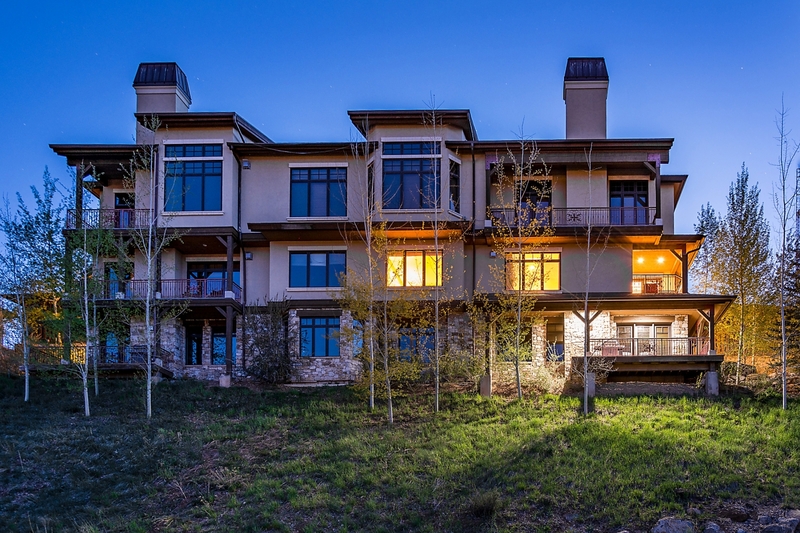 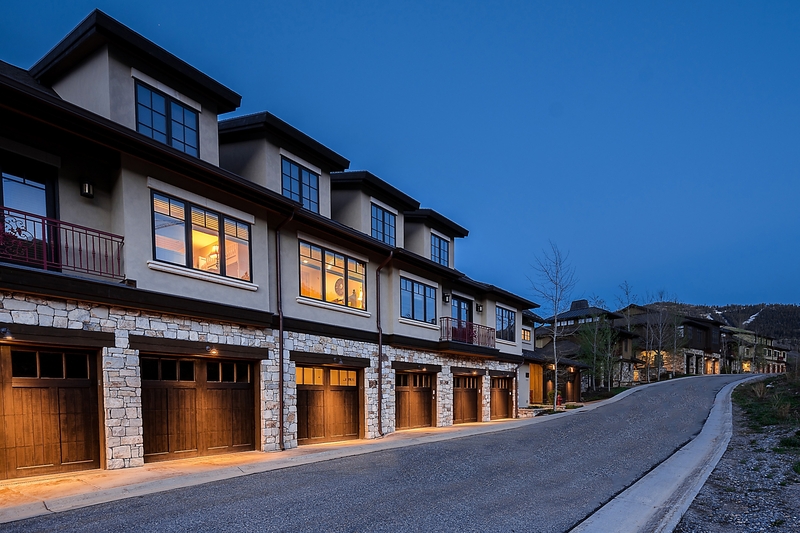 Marketing Headline: Luxury Townhome sleeps 10 - Canyons Village Ski-in/Ski-out and Canyons Golf Alternate: Grand Townhome in Canyons Village with Easy Access to 5 Ski Lifts -Sleeps 10! 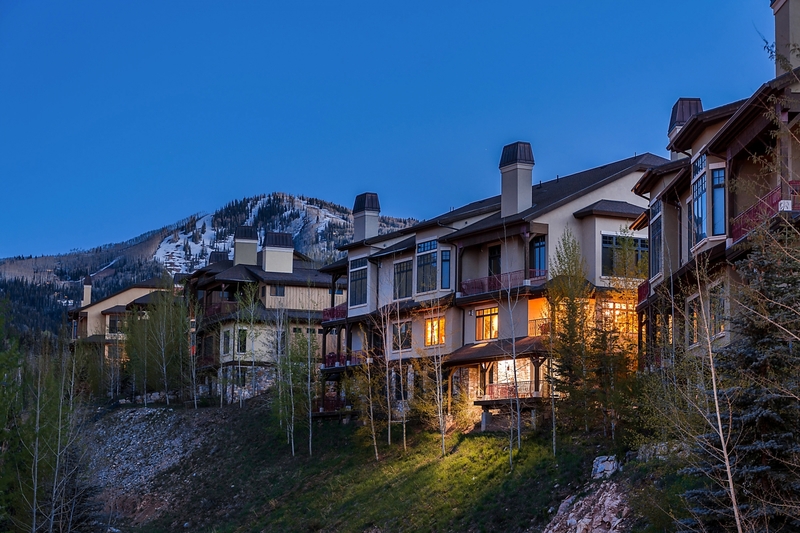 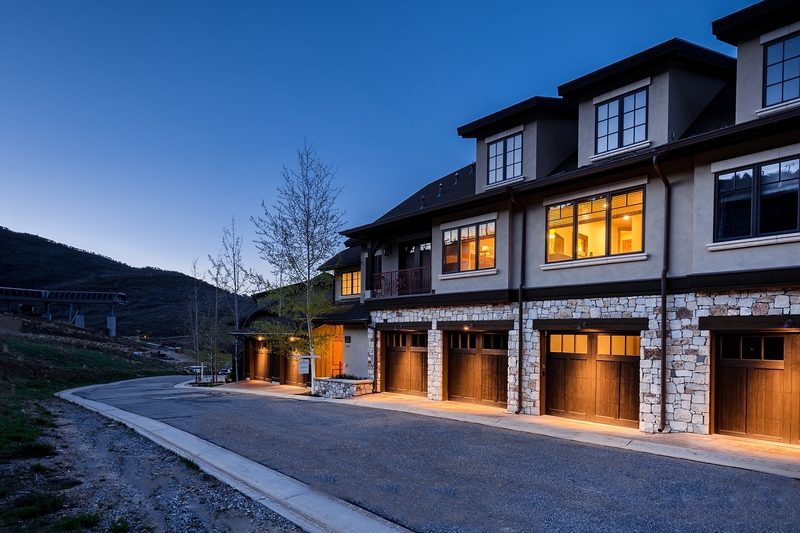 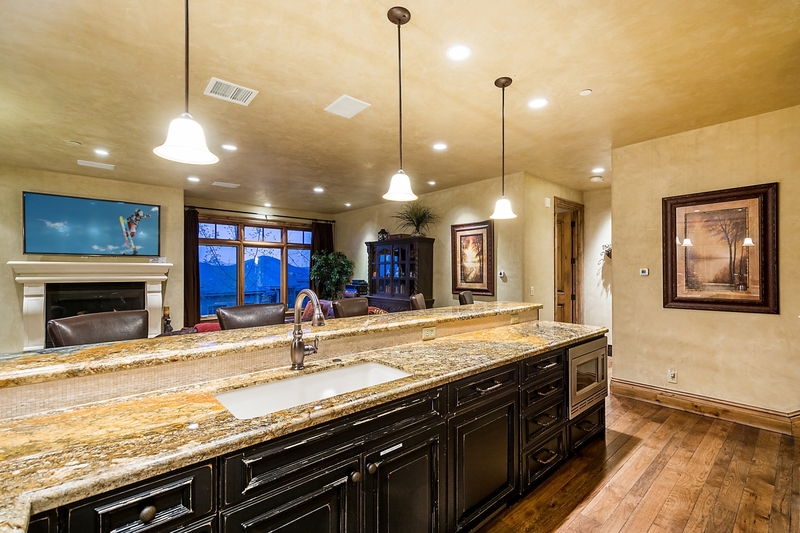 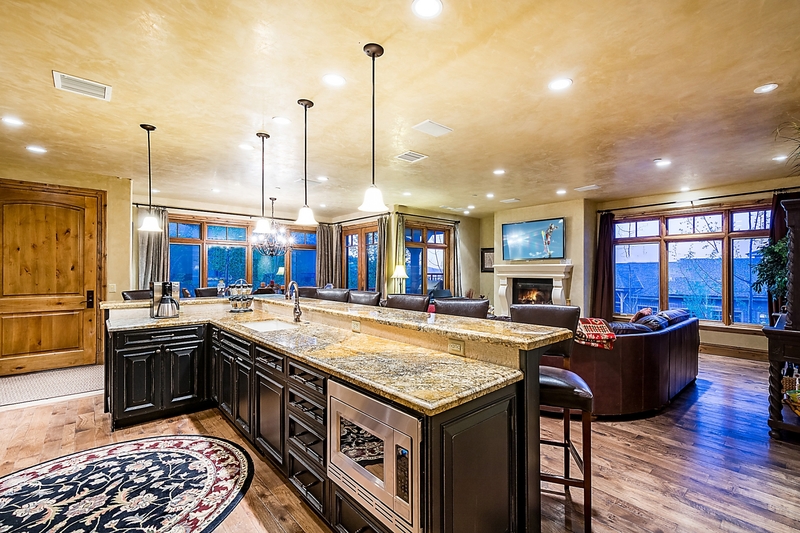 Long Description: Step into the heart of Park City's Canyons Village in your 2-story, 3 bedroom, 3.5 bathroom luxury, Venetian style townhome located in the sought after Vintage on the Strand. 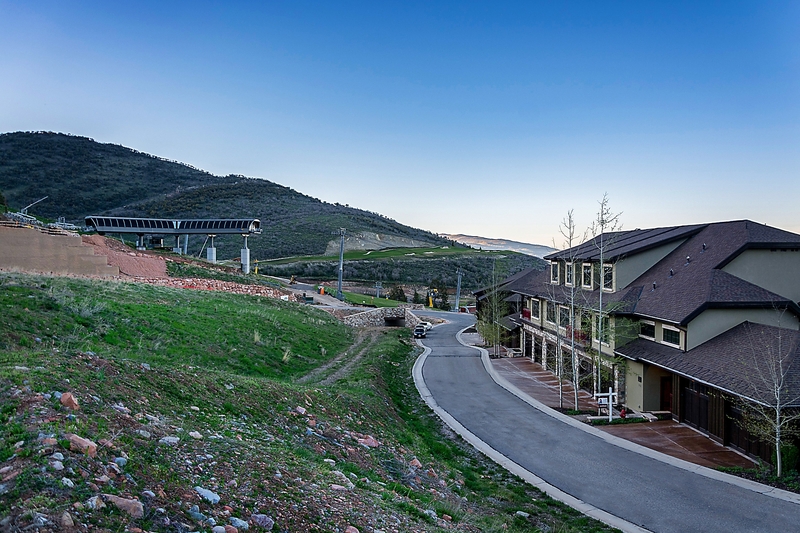 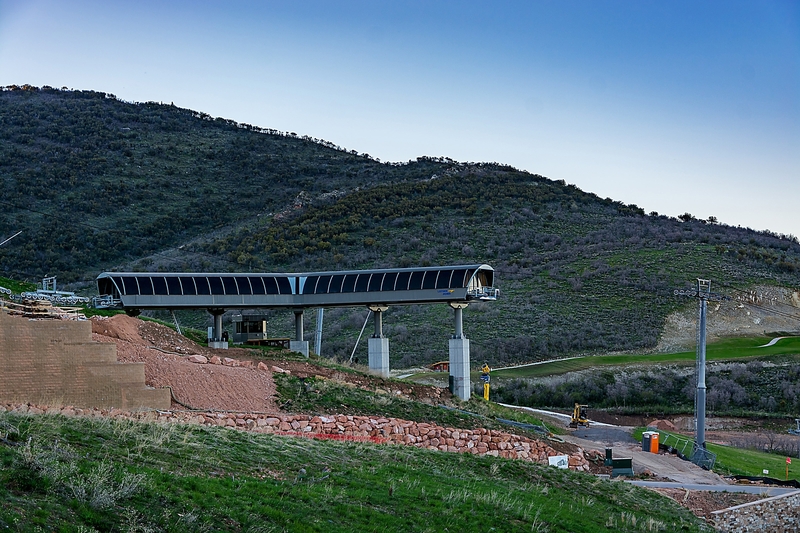 Whether you choose to hike, bike, or ski the nearby slopes or tee off at one of Utah's newest golf courses, Canyons Golf, with its unparalleled mountain views, or spend your day shopping on historic Main Street, coming home to your slope-side sanctuary will be a welcome retreat. 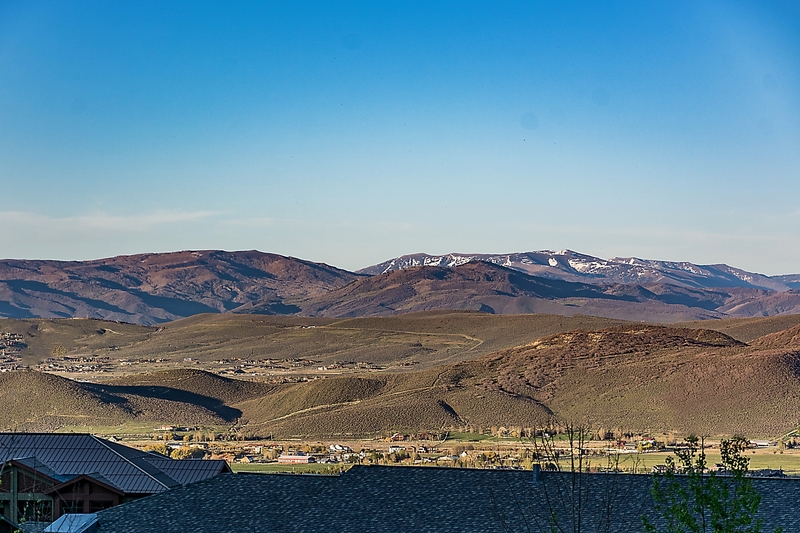 WHY YOU WON'T WANT TO LEAVE ? 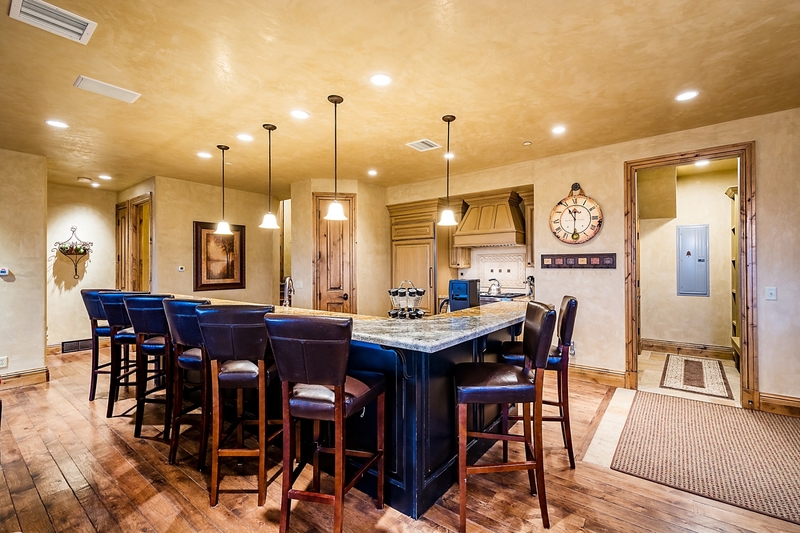 From the grand master bedroom, to the substantial leather sectional in the living room and generous bar seating in the kitchen, to the spacious mudroom, you will enjoy having all the space you and your guests need to relax and unwind while on your dream vacation. 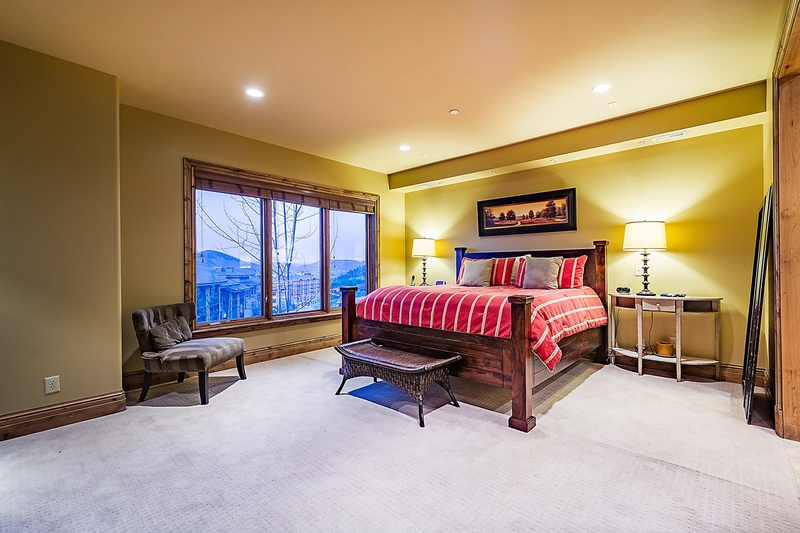 Your first-floor expansive master bedroom welcomes with a king size bed perfect for curling up with a good book or snuggling on a cold winter's morning. 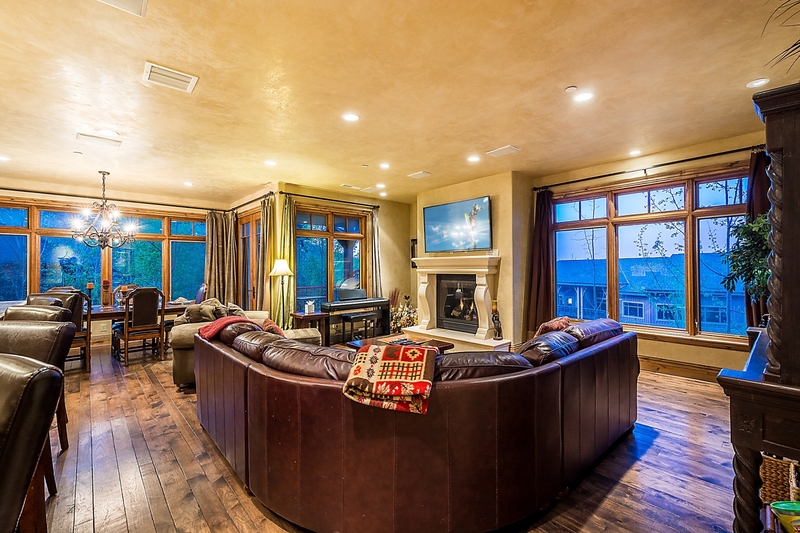 Across from the bed is a glowing gas fireplace and 45" flat screen smart TV. 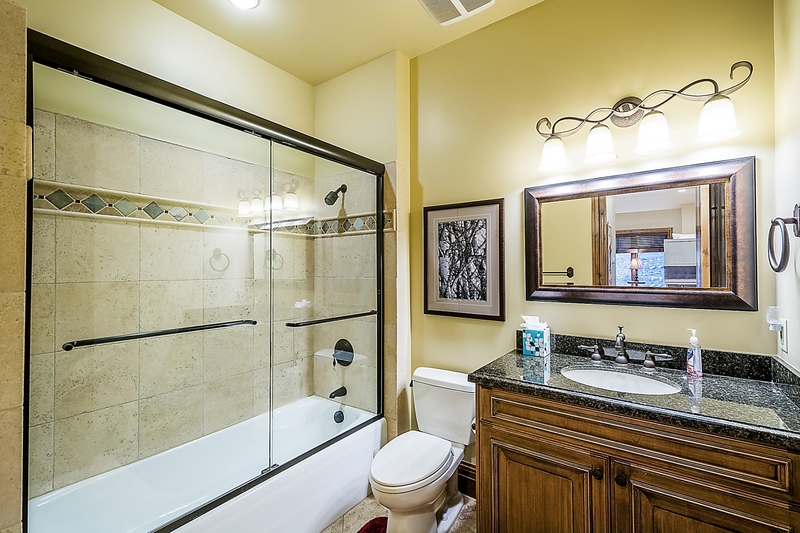 Your en suite bathroom will entice you with a large jetted soaking tub, separate glass shower, dual vanity and walk-in closet with built-in drawers and shelving. 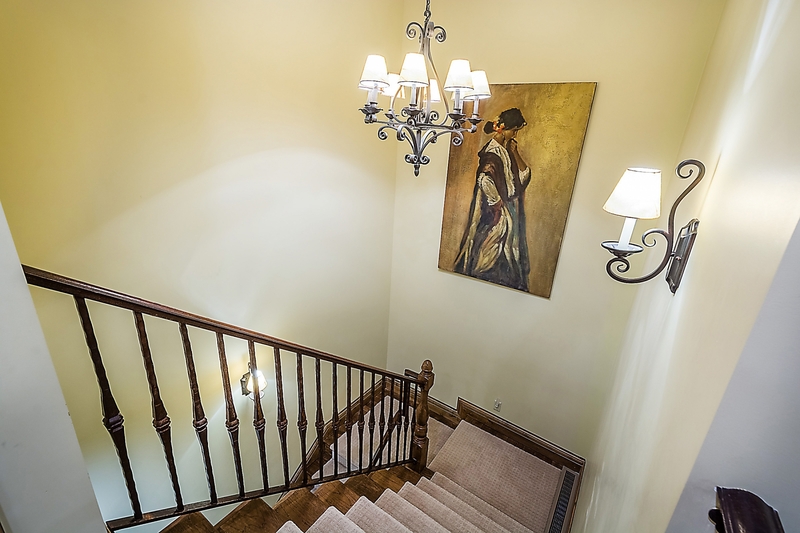 Upstairs you'll find your 2 guest bedrooms. 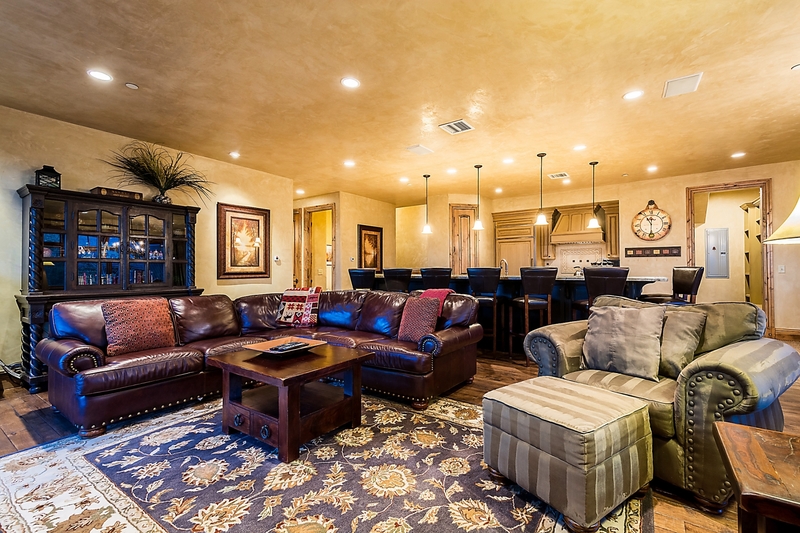 The first includes a queen size bed, where you can relax and take in a movie on the 40" flat screen smart TV. 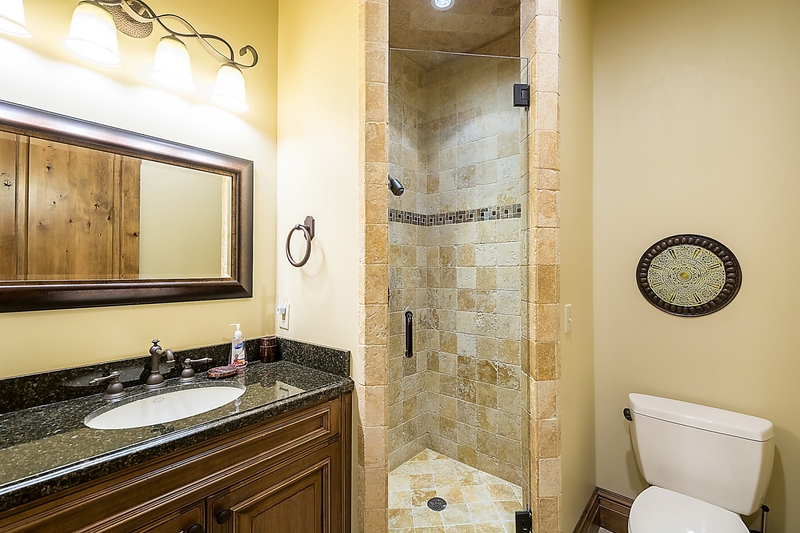 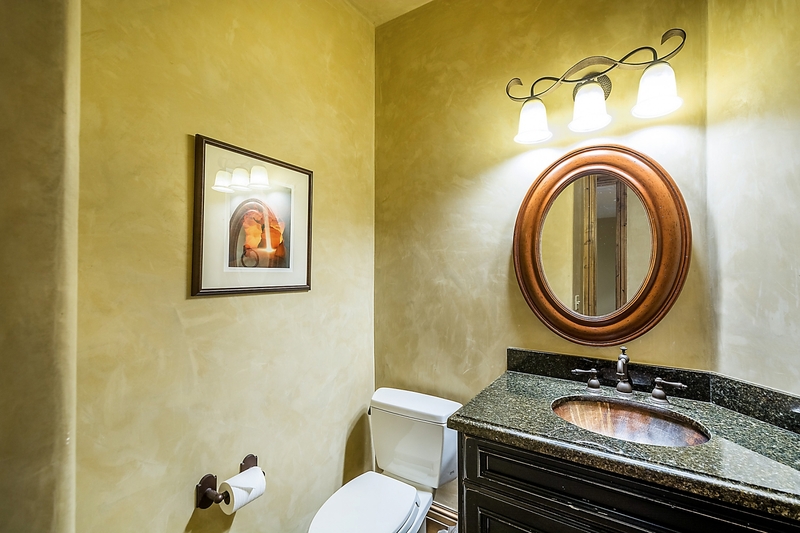 Its en suite bathroom offers a single vanity and glass and tumbled marble shower stall. 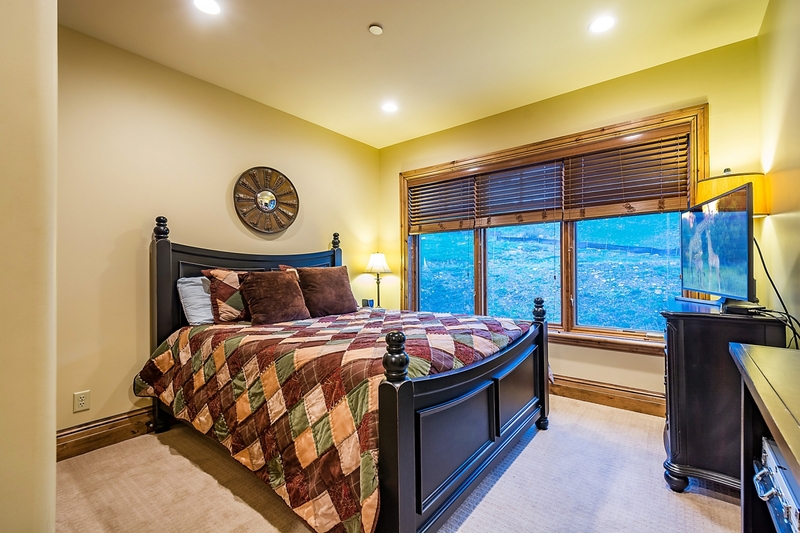 The second guest room sleeps 6 with three sets of bunk beds! 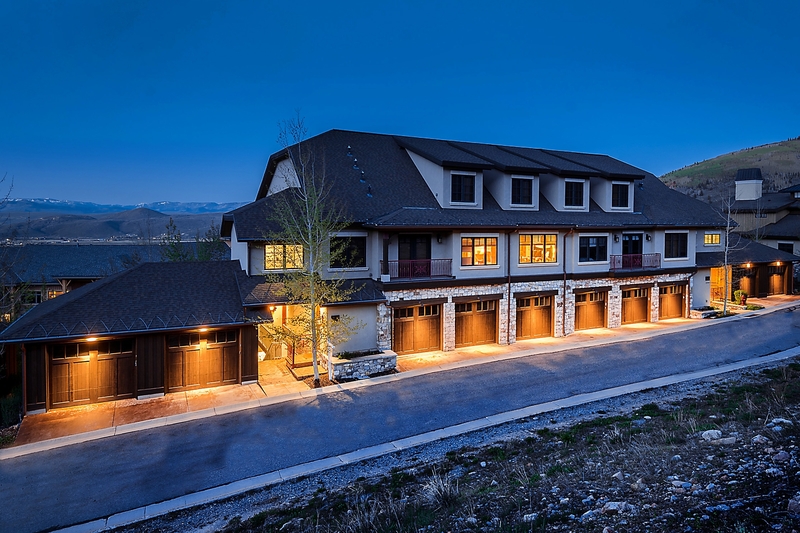 Six people will need a place for all their vacation wear, so the chest of drawers and walk-in closet with built-in shelves and drawers offers all the space they'll need. 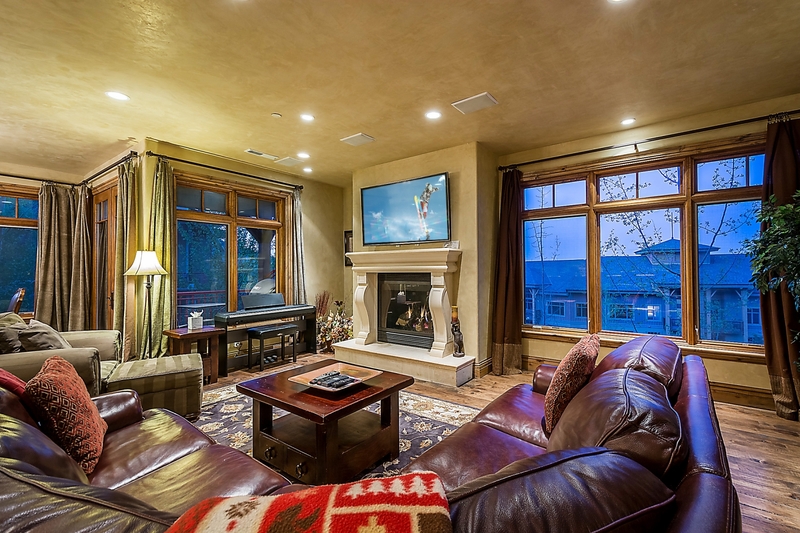 Entertainment for the group is within easy reach with a 40" flat screen smart TV. 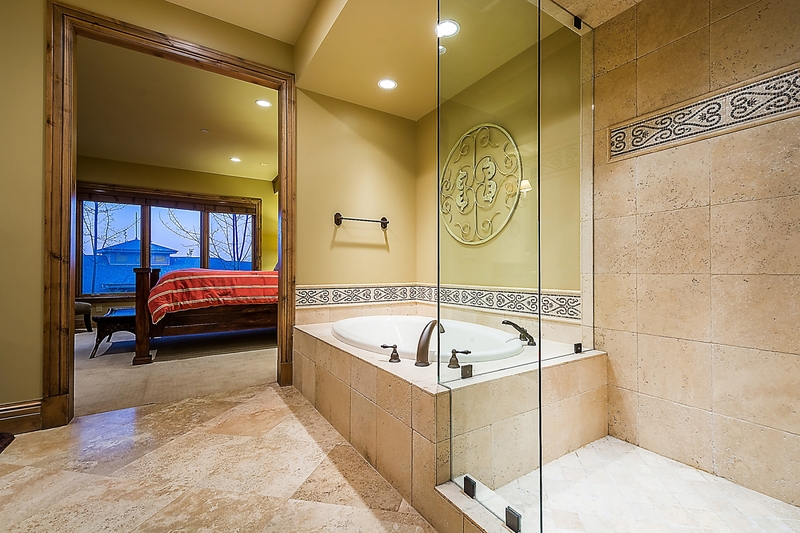 Those staying in this bedroom will enjoy the convenience of another en suite bathroom with a single vanity and a sliding glass door tub/shower combo. 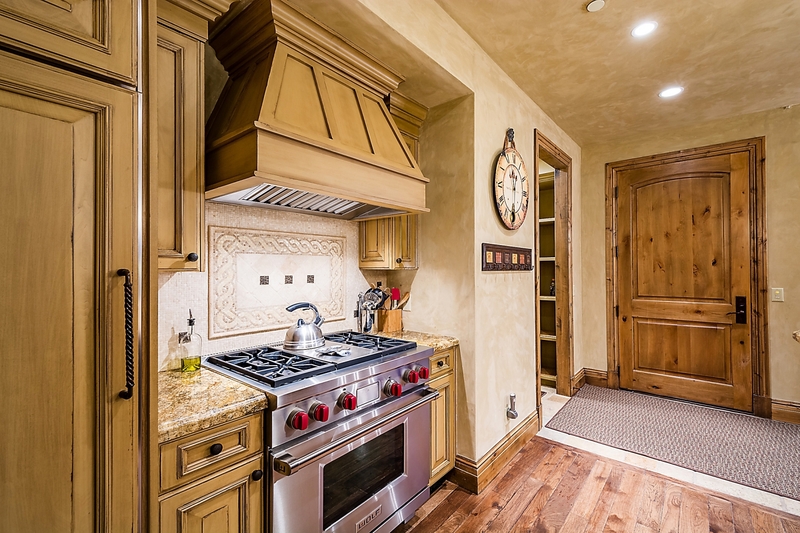 Your kitchen is a chef's dream come true with state-of-the-art appliances, including a cabinet front Subzero refrigerator, stainless steel Wolf gas stove, and under-counter stainless microwave. 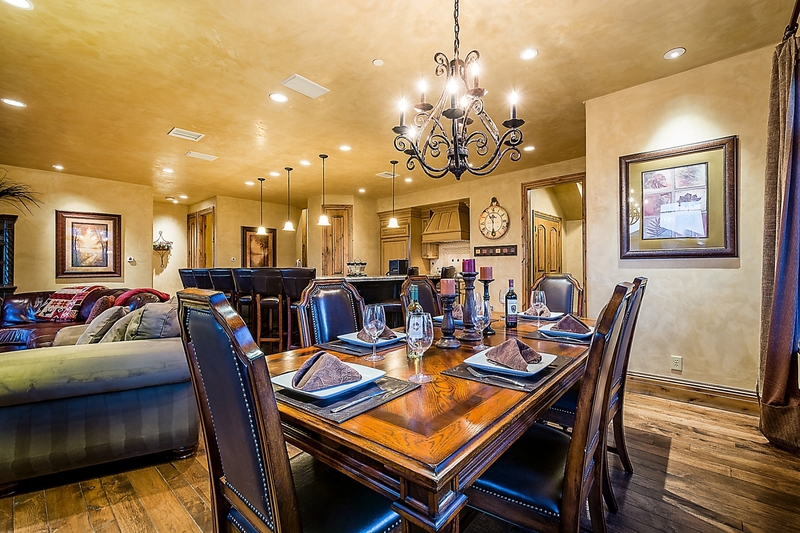 And your group will have more than enough room to sit and enjoy the culinary creations while sitting at the bar with seating for 8 or the formal dining table with seating for 6. 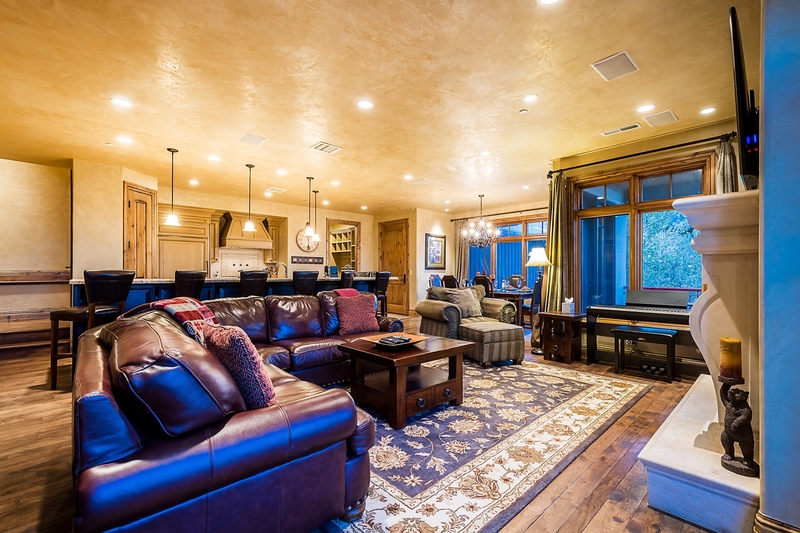 When it's time to relax as a group, you'll enjoy the spacious and open living room with the warmth of its gas fireplace and its many entertainment opportunities, including a 65" 4K smart TV with 5.1 Dolby surround sound, advanced sound system with Bluetooth input, lots of board games and a digital piano. 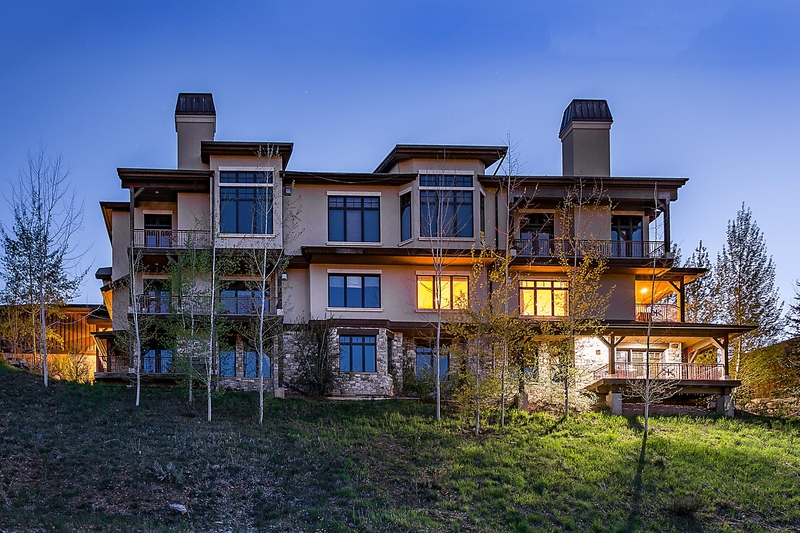 EVEN MORE REASONS TO STAY? 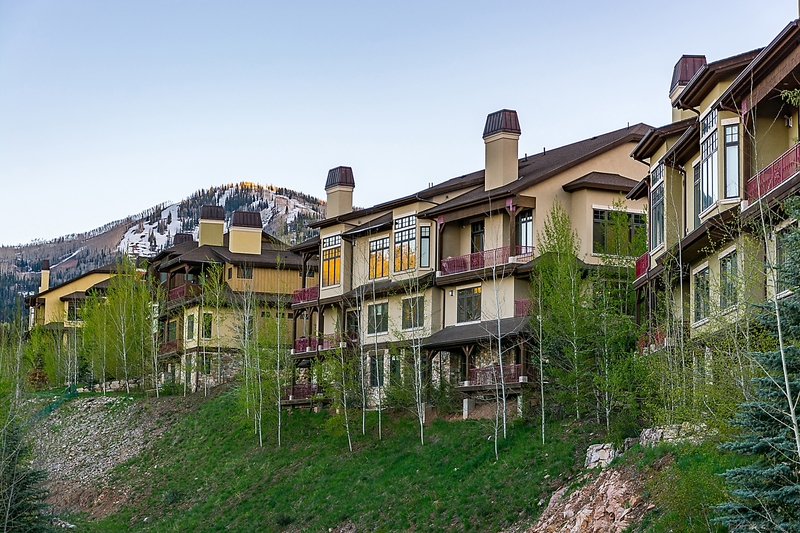 We welcome you to stay at our Sanctuary on the Strand and enjoy a dream vacation in spectacular Park City!